If you’re in the market for a personal air conditioner you might be interested in a new device that has been developed and created by Eugene Dubovoy called the Evapolar. The air conditioning device is capable of providing a number of features and functions including the ability to humidify and clean your local air. The Evapolar personal air conditioner has been specifically designed to help you tailor your local microclimate to your exact needs by cooling and humidifying the air within your workspace or home environment. Watch the promotional video below to learn more about this unique personal air conditioner that has taken to the Kickstarter crowdfunding website to raise just £30,000 over the next few weeks to make the jump into production. This developer explains more about its inspiration and construction. Start enjoying eco-friendly and energy efficient evaporative climate technology right now with Evapolar! Create your personal microclimate and enjoy ultimate comfort exactly when you need it and where you need it! Evapolar works on power of water evaporation – the simplest and most efficient cooling technology since ancient times. Evaporative coolers already exist but you may have never heard about them – they are all very bulky and if your hot season is short they are not presented on your market at all. But Evapolar is not just another evaporative cooler. It received a number of upgrades that make it truly unique. And the main one is that we managed to make it both powerful and compact so you could put it on your table. 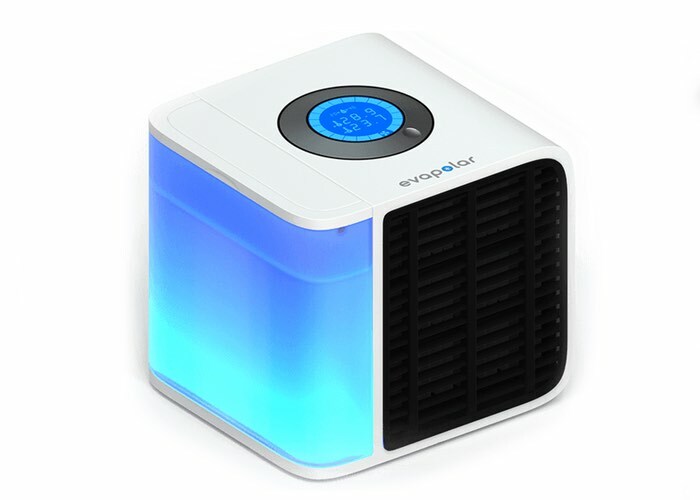 Evapolar is a desktop personal air conditioner that not only chills, but also humidifies and purifies air. Your personal climate created by Evapolar is healthy for your skin and hair. Thanks to its portability, Evapolar makes you feel comfortable exactly when you need it and where you need it. In order to make Evapolar both small and powerful we had to develop a special evaporative nanomaterial that was previously a part of Russian military tech. Evapolar emulates a soft natural chilling process instead of just producing a cold air thread like the other air conditioners (that often leads to catching a cold). Evapolar is absolutely eco-friendly and 12 times more energy efficient than traditional split systems. It is very easy to use and ready to work right out of the box. 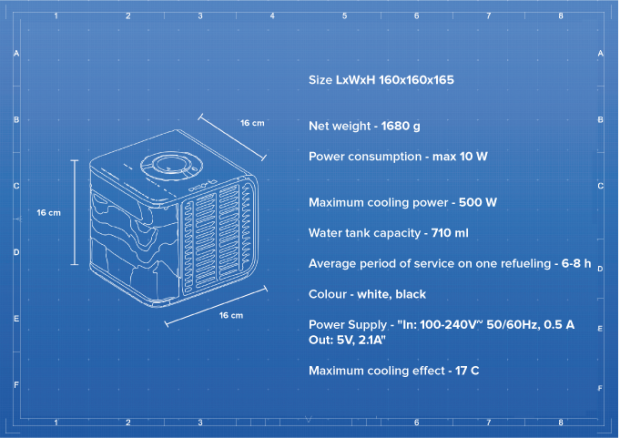 For more information on the new Evapolar personal air conditioner jump over to the Kickstarter website for specifications and the ability to make a pledge from £124 to enable you to have more control over your microclimate.